Today, I want to share a recipe I got from Good Housekeeping magazine and what I’ve done with it! I started this last year and thought it was such a great idea to keep it going year after year! 1. On a large cookie sheet, arrange 48 paper or foil mini-muffin or candy cups in a single layer. 2. 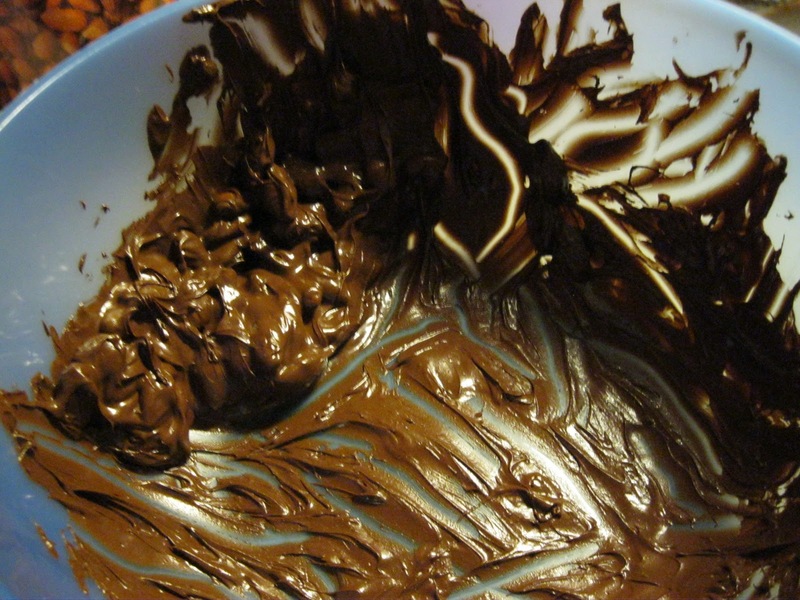 In large microwave-safe bowl, microwave half o the chocolate on high for 20 seconds. Stir and repeat until chocolate just melts, about 1 minute and 20 seconds total. Stir in remaining chocolate until melted. Let cool for 3 MINUTES (For a shiny finish!). 3. Stir in almonds until evenly coated. With measuring teaspoon, drop 1 spoonful of mixture into mini-muffin cup. Repeat with remaining mixture and cups. 4. Refrigerate at least 20 minutes or until set. 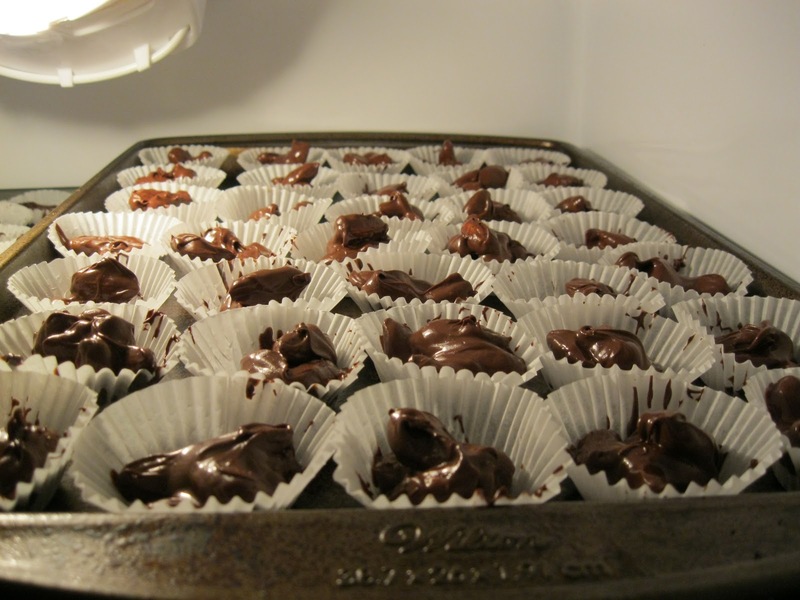 Chocolate clusters can be refrigerated in an airtight container up to one month. I used Nestle semisweet chocolate morsels and blue diamond almonds! My awesome clusters in the fridge, getting chilled! 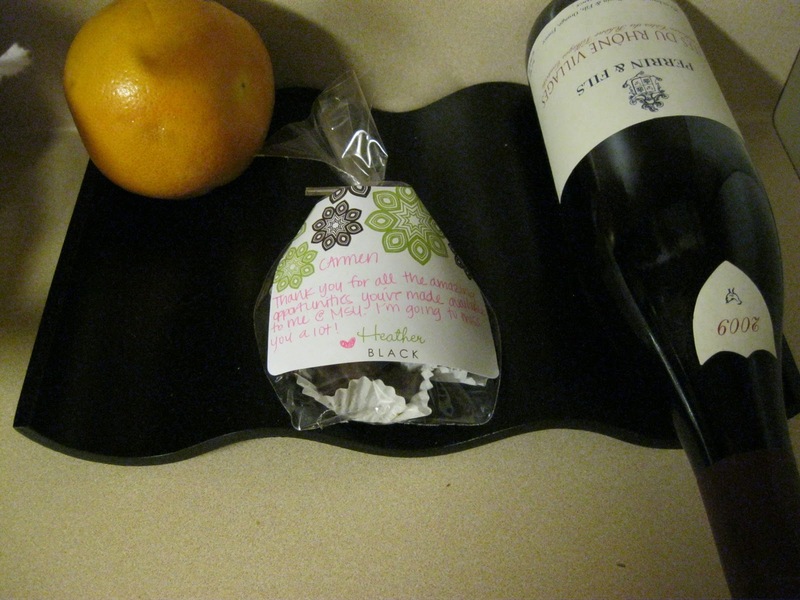 What I did, was make the chocolate almond clusters and put 3 in a cute little bag. I then used my amazing Erin Condren gift labels (Does anyone else have millions of these from their planners and haven’t been able to go through them all? WELL, I did, so this was a super great way to use them up!) and I write a little Christmas note to pass out with it! 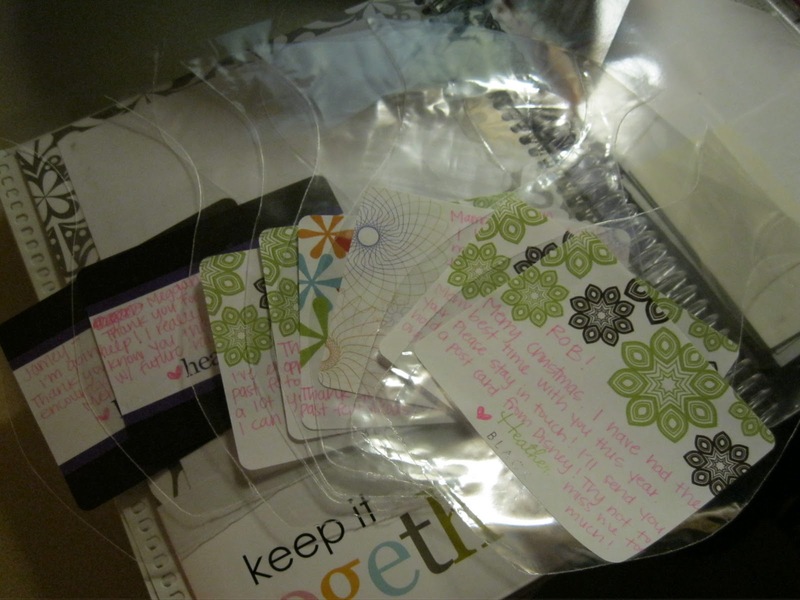 My little bags with my EC Gift Labels, ready to go! There’s my finished little project!